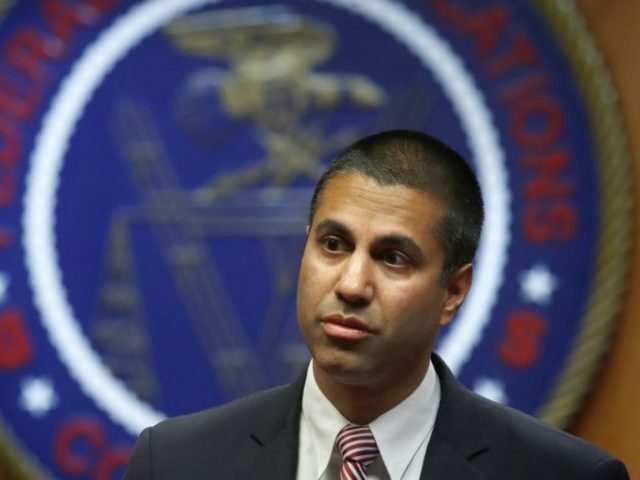 Federal Communications Commission (FCC) Ajit Pai announced Friday that the agency will unveil the largest spectrum auction in American history to ensure American leadership in 5G and create a Rural Digital Opportunity Fund to expand Internet access to rural America. FCC Chairman Pai will attend a 5G meeting with the White House on 5G and expanding Internet access across American. During a press conference Friday, Pai announced that they will have their third 5G spectrum auction on December 10, 2019, which will serve as the largest spectrum auction in American history–the FCC will sell 3,400 megahertz in three different spectrum bands during the auction. Since November 2018, the FCC has auctioned 1,550 megahertz of spectrum for commercial use for 5G connectivity. “This will be critical for providing the airwaves necessary for carriers to deploy 5G wireless networks,” Pai said. 5G serves as the next generation of wireless technology which could deliver Internet speeds roughly 100 times faster than today’s mobile Internet. 5G wireless networks could power self-driving cars and could even compete with traditional broadband networks. Pai also said that he remains committed to keeping American leadership in wireless technology through a market-based approach, rather than some Republicans who advocated for a wholesale-style 5G network, which some conservatives have derided as a “nationalization” of the 5G network. Pai’s comments arise as the Larry Kudlow, the White House’s top economic adviser, reiterated the Trump administration’s commitment to a free-market approach towards 5G. pushing more spectrum auctions for private companies to deploy 5G networks faster. Cisco reportedly projected that in three years, the share of 5G wireless connections in North American will become roughly twice that of the projected rate for Asia. According to the Cellular Telecommunications Industry Association (CTIA), the U.S. leads the world with the most commercial 5G deployments of any nation. Further, Chairman Pai announced a $20 billion investment in America’s rural communities through a new program: the Rural Digital Opportunity Fund. The fund will inject $20.4 billion in expanding high-speed broadband networks in rural America over the next decade. The FCC contends that the program will connect up to four million rural homes and small businesses to high-speed networks and bring economic opportunity to rural America to help support future 5G technologies. “This will be a critical tool for closing the digital divide, and it will provide some of the critical infrastructures for connecting rural Americans to 5G technologies,” Pai said. Chairman Pai has long pushed to close the digital divide, the stark contrast between urban and relatively higher-income Americans who have access to high-speed Internet and lower-income, more rural Americans who do not get to the enjoy the wonder of the high-speed broadband Internet.